In India, genetically modified (GM) mustard is edging closer to becoming the first officially approved GM food crop to be placed on the commercial market. 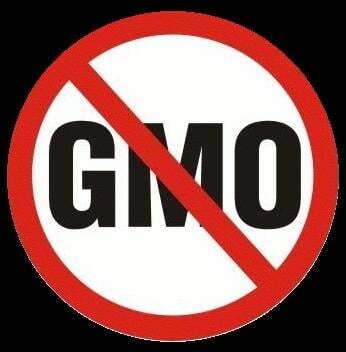 This is despite a series of official reports that recommend against introducing GMOs to India. The Technical Expert Committee (TEC) Final Report is the fourth official report exposing the lack of integrity, independence and scientific expertise in assessing GMO risk. The four reports are: The ‘Jairam Ramesh Report’ of February 2010, imposing an indefinite moratorium on Bt Brinjal, overturning the apex Regulator’s approval to commercialise it; the Sopory Committee Report (August 2012); the Parliamentary Standing Committee (PSC) Report on GM crops (August 2012) and the TEC Final Report (June-July 2013). The TEC recommends an indefinite moratorium on the field trials of GM crops until the government devises a proper regulatory and safety mechanism. Prominent campaigner Aruna Rodrigues argues that official regulators have hidden all data about GM mustard from the public and the independent scientific community, which is against constitutional provisions and the orders of the Supreme Court. She concludes this means one thing: mandatory rigorous biosafety protocols have not been carried out and the data pertaining to ‘mustard DMH 11’ therefore needs to be concealed. Rodrigues asserts that the secrecy surrounding GM mustard exemplifies the appalling state of regulation and smacks of corruption. She concludes the Indian government is using underhand means to introduce GM crops into Indian agriculture and that there appears to be no place for science or transparency in this process. The Coalition for a GM Free India is therefore demanding that the Union Minister for Environment, Forests and Climate Change, Prakash Javadekar, immediately intervenes to stop the processing and approval of this GM mustard and makes public all the information regarding the safety tests of the GM Mustard. On the back of a news report confirming that an application for approval for commercialisation of GM mustard has been moved with the apex regulatory body GEAC (Genetic Engineering Appraisal Committee in the Ministry of Environment, Forests & Climate Change), the Coalition for a GM Free India has reminded the government about the serious consequences. Rajesh Krishnan, Convenor of Coalition for a GM-Free India, says that the GM mustard hybrid has been created mainly to facilitate the seed production work of seed manufacturers, whereas farmers already have a choice of non-GM mustard hybrids in the market, in addition to high yielding mustard varieties. He also argues that, more importantly, there are non-GM agro-ecological options like System of Mustard Intensification yielding far higher production than the claimed yields of this GM mustard of Delhi University. This GM mustard is also a backdoor entry for various other GM crops in the regulatory pipeline – while herbicide tolerance as a trait has been recommended against by committee after committee in the executive, legislative and judiciary-based inquiry processes in India related to GM crops, this GM mustard uses herbicide tolerance. Contamination is inevitable of all other mustard varieties, while India is the Centre of Diversity for mustard. This is clearly one more GMO that is unwanted and unneeded and is being thrust on citizens in violation of our right to choices, as farmers and consumers. GEAC is functioning in a highly secretive fashion, and while the nation does not know what is happening inside the regulatory institutions with applications like this GM mustard, biosafety data is being repeatedly declined by the regulators. What are the regulators hiding and whose interests are they protecting? Why should the regulators be trusted for their safety assessment when in the case of both Bt cotton and Bt brinjal, the Supreme Court Technical Expert Committee (SC TEC) which took up a sample biosafety analyses in 2013 showed that the regulators were wrong in concluding the safety of these GMOs? The Supreme Court in 2008 had ordered that biosafety data be placed in the public domain when petitioners argued that unless the toxicity and allergenicity data are made known to the public, the applicants and concerned scientists in the country would not be in a position to make effective representations to the concerned authorities. An indefinite moratorium was placed on Bt brinjal (GM eggplant) in 2010. The regulators sought public feedback on that particular food crop and the Government of India took up public consultations before taking a final decision on Bt brinjal’s commercial cultivation fate in india. However, this current Government seems to be keen to conduct regulatory processes in a secretive fashion. Our past requests to meet with the Environment Minister to share our concerns met with no success. As the government gets more secretive and opaque around regulation, the public has a right to know what are they afraid of, if everything is safe and scientific? The claim is that GM mustard will provide yield increases of 25-30%. However, Aruna Rodrigues argues that higher yields are not the result of these particular transgenes but rather a direct result of hybridisation of normal crop genes. This is basically a case of deception: the use of high-yielding hybrids is a deliberate ploy to camouflage the yield attributable to the hybrid and assign it to the GM crop instead. She says that this is precisely the story that ensued with Bt cotton (which is now having disastrous consequences for many farmers) and that thread wove its way through Bt brinjal and now, openly for mustard. Rodrigues says that the fraud is unprecedented and the case surrounding GM mustard in India is evidence of unremitting regulatory delinquency. The secrecy and regulatory delinquency that Rodrigues talks of is integral to the speeding up of the wider agenda of restructuring Indian agriculture for the benefit of an increasingly impatient Western agribusiness cartel. These companies are pushing an unsustainable and poisonous industrialised model of farming on India based on a never-ending stream of petro-chemical inputs, commodity crops and corporate (GM) seeds (see this). This is already impoverishing farmers and driving them out of agriculture and will ultimately have tremendously negative consequences in terms of the nation’s food sovereignty and security as well as its health (see this).